From the moment your clients arrive on our islands, we have the services, systems and people ready to make sure that they’re greeted with a smile and are expedited through PLS International Airport, and into their private transfers to their resort or villa. Pre-arranged round trip airport transfers from PLS International Airport. Sign-up to receive our promotions and other special bulletins. View the online flipbook version of our latest brochure. KAYAKING: Take an exhilarating jaunt or a leisurely cruise down our fantastic beach! PADDLE BOARDING: Try stand up paddle boarding for the first time! The world’s fastest growing water sport is suited to almost anyone, and a great way to explore our lovely waters. SNORKEL GEAR: Pick up a snorkel mask or fins from our beach attendants and head just a short swim away to Princess Alexandra National Park, for amazing snorkeling. We also offer complimentary weekly snorkel tours to our guests. YOGA: Rejuvenate with daily yoga classes taught on property at the Beach Enclave Yoga deck by Retreat Yoga & Wellness instructors. Book a minimum 7 night stay and receive a complimentary half day luxury yacht charter cruise for up to 8 people. 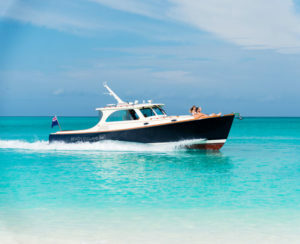 Enjoy the water onboard Addenda, Beach Enclave’s iconic 40ft luxury cruiser made by the famous New England company Hinckley known for their beautiful and graceful vessels. Fully equipped with creature comforts, navigational tools and safety equipment as well as stunning woodwork and a large swim platform, the Addenda will be sure to delight everyone aboard. The pilot house provides a shaded air conditioned cabin – comfortably seating 8 passengers – while the rear deck is ideally suited for shaded cruising and lounging in the cool sea breeze – pure bliss. The free-flowing single level deck layout allows for easy movement. Whether looking for a peaceful and romantic sunset cruise or a memorable family cruise up the coast, Addenda is a gorgeous experience from beginning to end. Valid for a minimum 7 nights stay. Valid for travel dates February 1st – April 30th, 2018. Enjoy your vacation even longer! Book a 3 night stay and get a complimentary 4th night, or book 5 nights and get an additional 2 nights complimentary! Valid for travel dates April 2 – December 16, 2018. A savvy group of seasoned travel and tourism experts that live and work in the islands and have the local know-how to plan picture-perfect custom vacations. We’re focused on one thing – collaborating with travel advisors to engineer a customized itinerary, that’s meticulously planned from arrival to departure, and executed with the utmost of thoughtfulness and care. We offer a comprehensive, full-service solution – including itinerary planning, luxury resort and villa bookings, private VIP expedited airport meet and greet service, airport transfers, private island tours, leisure activities, vehicle rentals, and reservations at hard-to-get-into restaurants. WE KNOW THE BEST, WE BOOK THE BEST! Travel advisors can offer their clients a more complete well-thought out vacation that curates not only the best suited resort or villa property, but the entire island experience, and know their clients have a local contact in destination for questions, changes or additional itinerary elements, which would all be commissionable back to the travel advisor. In addition to our aggressive 15% commission policy on ALL accommodation plus commission on select services booked in advance or by clients ‘on-island’, as well as ‘Agency of Record’ promise on any future client inquiries – we work with a very impressive portfolio of resorts, villas, tour/activity vendors and first-rate restaurants, and have excellent relationships with them; this means that advisors have a pipeline of inventory that they can immediately leverage for their clients and add value by offering unique experiences that only a ‘local’ will know about. Luxury Experiences highlights and profiles the advisor role through many touch points during their clients’ vacation, so that they are continuously being subtly reminded of them.